Our Family Medicine Residency Program is committed to train residents to practice quality healthcare in a rapidly changing world. The Family Medicine Residency Program of Broward Health Medical Center is committed to train residents to practice quality healthcare in a rapidly changing world. In an effort to achieve this goal, we emphasize the fundamental skills of primary care while at the same time providing the flexibility within the program to allow residents to select rotations that are in line with their focused interests. The Broward Health Medical Center family medicine residency program, located in the heart of Fort Lauderdale, unites diverse clinical pathology with a rigorous academic curriculum to offer an enriching education with nearly unparalleled excellence. Following are detailed descriptions of the rotations for each post-graduate year of training in the family medicine residency program. On this rotation, residents work closely with board certified OB/GYN physicians in the inpatient and outpatient settings. Residents are exposed to the full scope of OB/GYN. They work closely with the OB/GYN attendings to learn about prenatal and postpartum care, and learn to triage and manage high-risk patients. The residents gain experience caring for laboring mothers, performing deliveries and assisting in OB/GYN surgeries. Residents on the general surgery rotations work with a private surgical group of physicians, at Broward Health Coral Springs. They provide care to patients both in the inpatient and outpatient setting. The residents learn common surgical procedures, indications for referral, perioperative, and postoperative management. Over a three-year period, residents spend a 4 week block in each of the required outpatient surgical clinics, which include urology, ENT, and ophthalmology. Residents work with the Pediatrics Department at the Salah Foundation Children’s Hospital at Broward Health to develop skills to care for acutely ill children in a hospital setting. On this rotation they participate in daily morning report and teaching rounds, where cases are discussed in entirety to provide complete medical care to Broward Health’s youngest patients. During their three years at Broward, they also have an opportunity to master their skills in the care of healthy newborn infants in the new born nursery. Our emergency medicine department at Broward Health Medical Center is a Level 1 Trauma Center and exposes our residents to large volume and exposure to emergency situations in all levels of acuity. The residents gain an exciting hands-on opportunity to care for adults and pediatric patients. With Broward Health Medical Center being a safety net hospital, residents are exposed to a fast paced environment with a variety of medical conditions, levels of acuity, opportunity to be involved in procedures, as well as contributing to patient and family care needs. During this month, residents work with a cardiology group to provide inpatient cardiac care. They are responsible for cardiac consults, orders, and medical management. This includes management of arrhythmias, acute myocardial infarction, pulmonary edema, code situations, hypotension, and complications of anticoagulation/thrombolytic therapy. Residents spend four weeks during the first year on this inpatient psychiatry rotation, learning to evaluate, triage, and manage various mental health conditions. They evaluate patients through the emergency department as well as patients that are voluntary and involuntarily admitted directly to the psychiatry department inpatient service. On this rotation family medicine Interns work as part of a group on the internal medicine inpatient service. Interns are responsible for admitting patients through the Broward Health Medical Center's emergency department when their service is on call. As part of the internal medicine team family medicine interns are responsible for managing the patient from admission to discharge under the supervision of the senior internal medicine resident and internal medicine attendings. The structure of the internal medicine service allows interns to gain experience managing complex patients of diverse background with a variety of medical conditions. This exposure gives our interns a strong foundation in inpatient care and helps build their confidence as a healthcare professional. During these rotations resident are exposed to common musculoskeletal conditions that are seen in the outpatient orthopedics and sports medicine clinics. This rotation helps residents gain confidence in performing musculoskeletal examinations, sports physicals, and injections. Residents work at NSU/COM Sports Medicine Clinic and with a local orthopedic specialist. On this rotation, residents have opportunity provide care to the NSU athletic team, perform procedures and participate on orthopedic surgeries. On this rotation, residents work closely with board certified OB/GYN physicians in the inpatient and outpatient settings. Residents are exposed to the full scope of OB/GYN. They work closely with the OB/GYN attendings to learn about prenatal and postpartum care, and learn to triage and manage high-risk patients. The residents gain experience caring for laboring mothers, performing deliveries and assisting in OB/GYN surgeries. The residents spend two consecutive months on the obstetrical rotation during their second year to provide continuity of care and participate in the full scope of obstetrical care. 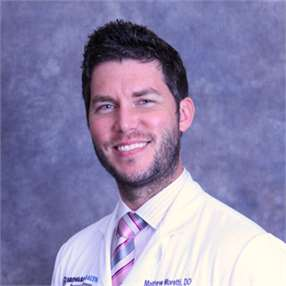 Residents work with the Broward Health Medical Center dermatology residency service in their outpatient clinics. This rotation allows residents to strengthen their confidence and skills in diagnosing and managing a variety of skin conditions. They also obtain experience performing skin biopsies, cryotherapy, and other dermatologic procedures. These rotations allow residents the flexibility of choosing rotations that will enhance their medical training and strengthen their skills as they pursue their own professional interests. Residents can choose from established electives, or work with the program director to seek an elective in their own area of interest. Over a three-year period, residents spend a four-week block in each of the required outpatient surgical clinics, which include urology, ENT, and ophthalmology. The pediatrics emergency department at Broward Health Medical Center is a Level 1 Pediatric Trauma Center and exposes our residents to large volume and exposure to emergency situations in all levels of acuity. The residents gain an exciting hands-on opportunity to care for pediatric patients. With Broward Health Medical Center being a safety net hospital, residents are exposed to a fast paced environment with a variety of medical conditions, levels of acuity, opportunity to be involved in procedures, as well as contributing to patient and family care needs. Residents care for patients who are admitted directly to the ICU from the emergency department, hospital inpatient teams and/or outside transfers from other hospitals. Residents learn ventilator management, ICU medications, critical care procedures, and have the opportunity to manage severely ill patients. On this rotation, residents work closely with board certified OB/GYN physicians in the inpatient and outpatient settings. Residents are exposed to the full scope of OB/GYN. The residents work in the gynecology clinic learning how to manage general gynecology complaints and have a chance to participate in various gynecology procedures. The NSU Sanford L. Ziff Clinic is the ambulatory site for the residents’ continuity of care experience. The residents longitudinally provide preventive care, primary acute and chronic care, with gradual autonomy under the supervision of a group of well-trained family physicians. The residents provide care to patients who are diverse in age, ethnicity, and pathology. 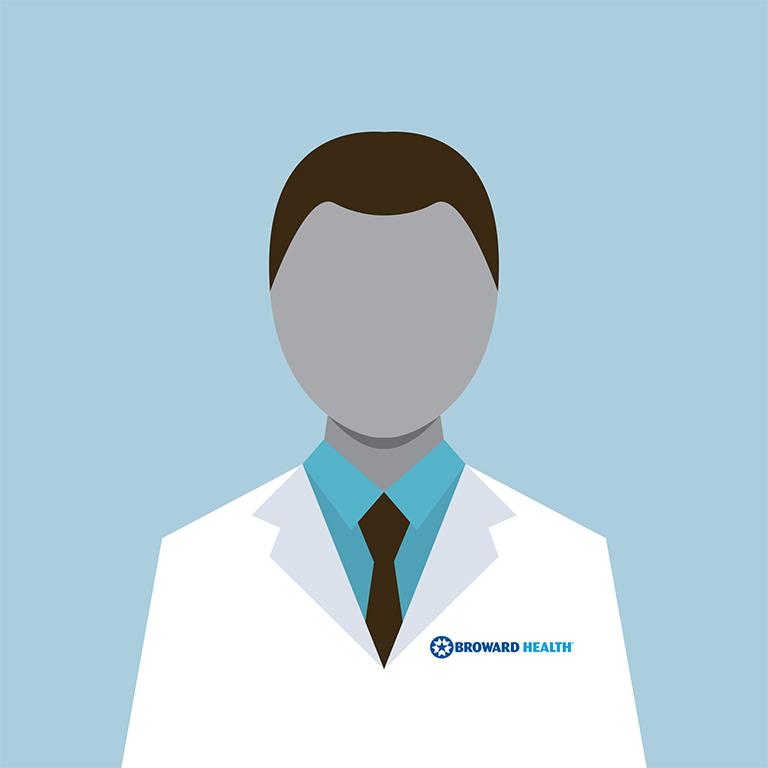 Over the three-year period residents build their confidence and develop great doctor-patient relationships. Residents work with underserved minority populations in one of the Broward Health affiliated community based health care clinics. This rotation which serves a predominately Hispanic population allows residents a unique perspective into the health care needs of local immigrants and resources available to those in our community. They are able to enhance their primary care disease management skills in this outpatient setting while also obtaining cultural competency skills. For these rotations, residents select from a list of Medicine services offered throughout Broward Health Medical Center. The medicine selection list includes; Allergy & Immunology, Cardiology, Dermatology, Endocrinology, Gastroenterology, Geriatrics, Hematology, Infectious Disease, Nephrology, Neurology, Oncology, Pulmonology and Rheumatology.